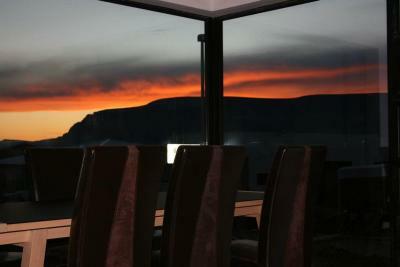 Lock in a great price for Iceland Wellness – rated 8.4 by recent guests! Owner opened his beautiful home and allowed full access to kitchen so we can make our meals; room and bed were comfortable. Breakfast was filling to start our day. Best of all, owner credit us for the one night we mistakenly overbooked. 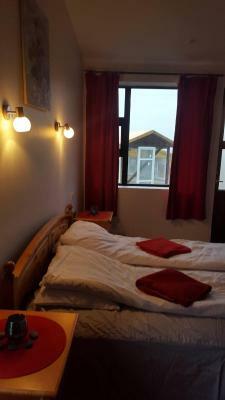 The rooms were spacious and clean; beds were very comfortable. Location was easy to access. The host was incredibly gregarious and warm. Breakfast was warm bakery donuts, some eggs, and an assortment of other Icelandic breakfast options. Coffee was very good, too. V very pleasant!! Host also offered a Northern Lights expedition, but we were too tired. He shared his pictures. 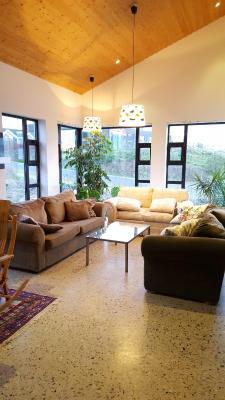 House very clean-nice living room and good breakfast served by host in am. Beautiful place, it's still in the middle of being constructed, but it's all very nice. The staff were lovely, and the position just out of Reyvjavik makes for something a little different. It's suburban, but still breakfast has a lovely view. Cozy, looks like a normal house. Very comfortable. The staff is super! Writing this post June ‘18. THE HOUSE IS NOT FINISHED YET! 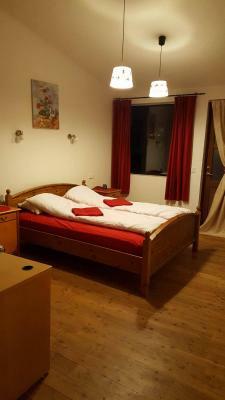 Nice big rooms, amazing staff, very good location, beautiful modern house although still under construction. Warm welcome, with a complete explanation of the property and what was available to guests. Fascinating property with unique architecture and artful touches. Congenial host who was prepared to offer most anything for breakfast or any topic for conversation. Amazing breakfast - true taste of Iceland. Knowledgeable and friendly host - gave invaluable travel tips. 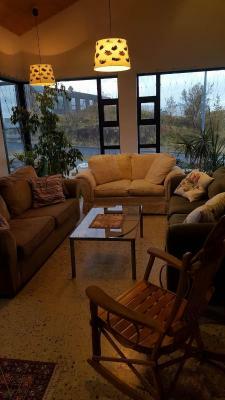 Located within 9 miles of Trollafoss in Mosfellsbær, Iceland Wellness has accommodations with free WiFi. Guests at the family stay can enjoy a continental breakfast. Iceland Wellness has a sun terrace. II-lyfta is 11 miles from Iceland Wellness, while I-lyfta is 11 miles away. 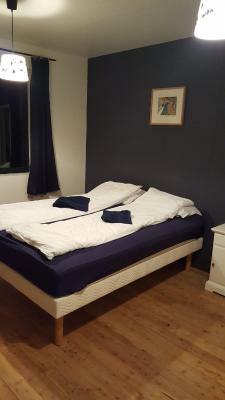 The nearest airport is Reykjavík Airport, 11 miles from the family stay. 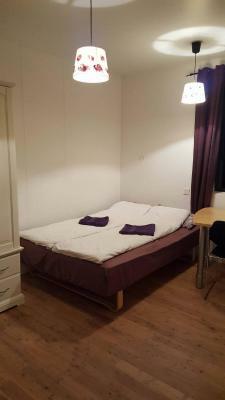 This property is also rated for the best value in Mosfellsbær! Guests are getting more for their money when compared to other properties in this city. 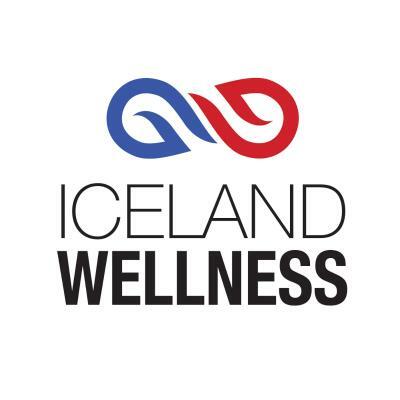 When would you like to stay at Iceland Wellness? 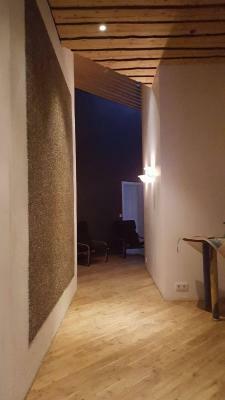 House Rules Iceland Wellness takes special requests – add in the next step! 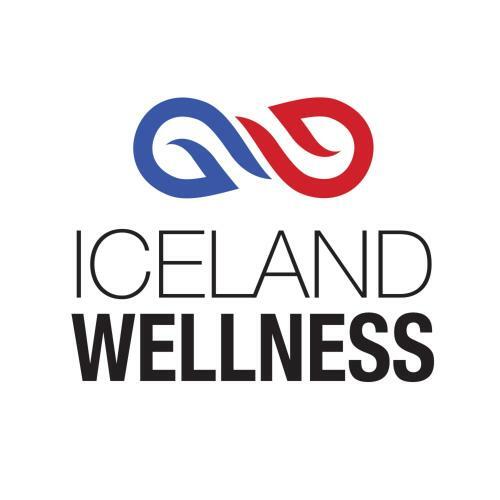 Iceland Wellness accepts these cards and reserves the right to temporarily hold an amount prior to arrival. Please inform Iceland Wellness of your expected arrival time in advance. You can use the Special Requests box when booking, or contact the property directly using the contact details in your confirmation. On the periphery of Reykjavik, in a house in renovation process. 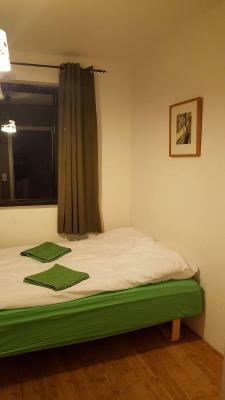 Only the guest are in the house, I can only recommend it for a one night stay due to the price. There were a few small amenities missing and renovations currently, but those didn't really affect the quality of our stay. really like Gunnlaugur, the host, who is lovely and engaging. Spent a tonne of time talking with us and we learned a lot about Iceland! The room was a bit smaller than expected, there was no bin in the room and no climate control. I found it very odd to turn up with no one to greet us at the property, just a name on an open room. It was clear that there are a number of construction projects being undertaken at the location, things look unfinished in the shared bathrooms and around the property, that wasn't something I was aware of before booking/arriving. With the shared bathroom, using the showers would cause the bathroom to flood due to a partly blocked drain. I hadn't envisaged having to mop up around a shared bathroom when I booked. 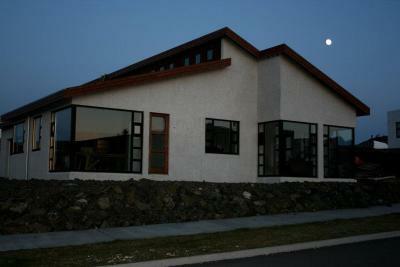 The style of the building was very nice, and it was in a good location for access to Reykjavik. The food and drink available at breakfast was very good, and there was a good selection for all appetites. 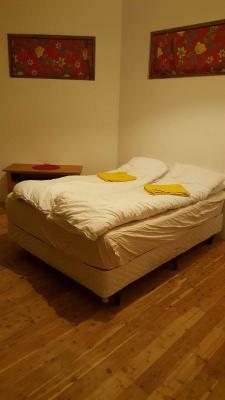 A double bed is actually 2 singles pushed together with a gap between the mattresses. Very nice communal areas. Very clean. The owner was lovely. Easy to find. The best thing about THE stay was the breakfast time together with the host. If you would like to have a super time with the icelandic version of ROBIN WILLIAMS then the host completely covers that demand 100 %. Everything is so nice and i have read former reviews of this place. Construccion site who cares. There is so much hospitality in the host that all other things does not matter. Soft bed in our room. Small room. Bathroom design. Nice clean guesthouse. Comfortable and inviting lounge area. Good breakfast. Quiet neighborhood. The host was waiting for us at our arrival and let us feel like home! Next morning the breakfast was superb! 😋 I highly recommend this place! Can not lock own room when go out. Host is nice, helpful. Shared area is fancy. We booked 2 rooms for a total of $230 (each room was $115) and paid full price at time of booking. When we checked out, the owner told us that booking.com only collects half the fee, and we owed the other half. When we got back home and were able to check we realized booking.com doesn't collect half, we paid in full and we had been ripped off. Place was new and comfortable. Well furnished.